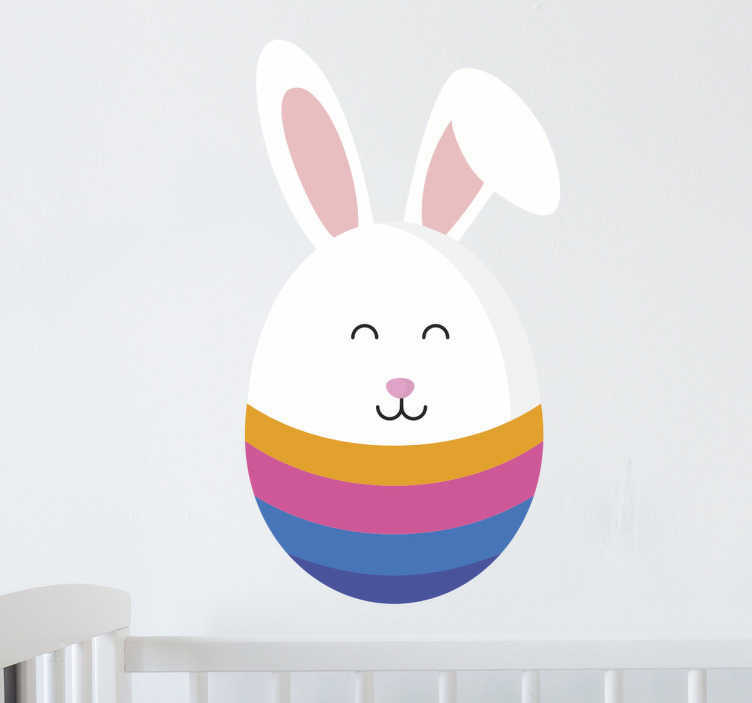 An Easter wall sticker for children. The design consists of a coloured Easter egg in which the top has been replaced by the Easter Bunny. An Easter bunny with pink ears, a pink nose and a cute smile on his face. A funny and cute wall decoration for Easter. Decorate the walls in your home, school or business. Get ready for Easter with these cute stickers. This removable sticker is available in various sizes.